The ‘Appellate Authority for Advance Ruling’ (AAAR) for GST has upheld that, a trust whose main objective is the advancement of religion, spirituality or yoga can be said to be in businesses and thus fall under the purview of GST. Sale of products by such institutions would attract GST. One hopes that over time, the High Court or the Supreme Court will reverse this ruling. Shrimad Adhyatmik Satsang Sadhna Kendra, is registered as a public charitable and religious trust in Mumbai and its activities include advancing the teachings of Paramkrupaludev Shrimad Rajchandra and knowledge on Jainism. It holds satsangs, shibirs etc., and publishes religious books, audio CDs, DVDs, etc. Last year, this trust had appealed to the Authority for Advance Rulings (AAR) in Maharashtra arguing that the trust cannot be said to be in business and therefore GST should not apply. The trust had questioned whether sales of spiritual products incidental or ancillary to the main charitable objective can be said to be ‘business’; and whether the sale of spiritual products can be said to be ‘supply’, attracting GST? AAR however ruled that although registered as a charitable trust, it had trade and commercial activities and the Goods & Services Act aims to tax all activities of supply of goods and services by trusts except ones specifically exempted. The trust contended that it is a public charitable trust with the main object of advancement of religious and spiritual teaching and is not engaged in any trade, commerce, manufacture, profession, vocation and wager or in other similar activities. The incidental activity, as per the trust, is selling various spiritual products such as books, audio CDs, DVDs, statutes, calendars etc., which are for the advancement of the religious objectives of the Trust. The books are based on the teachings of their Gurudev and the DVDs and CDs contain the religious pravachan, satsang, spiritual songs and bhajan. 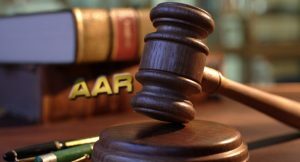 The trust took the matter before the Appellate Authority (AAAR) which once again held that the definition of ‘business’ under the CGST Act is wide enough to include trade, commerce, manufacture, profession, vocation, adventure, wager or any other similar activities. The term ‘trade’ is a comprehensive term which covers the activity of buying, selling or exchanging goods or services. The terms ‘trade and commerce’ by themselves mean the buying or selling of goods or services between people. The charitable trust may be formed with the fundamental objectives of carrying out spiritual activity and spiritual salvation. But it also, at the same time, sells goods and supplies services under the auspices of the trust and such an activity by itself forms a part of the objective of the trust. Under the heading – ‘Other objectives of the trust’ and the heading ‘Activity of spreading the knowledge’, the trust has printing and publishing as one of the objectives of the trust. In the various objectives of the trust listed, it is also seen that the trust can dispose its property, buy and sell securities, sell the trust property by public auction or let it out on lease etc. From the above objectives of the trust, AAAR took the view that though it is public charitable religious trust by name, activities of trade and commerce also form a major part of the objectives of the trust. In our opinion, these are standard enabling clauses in most trust deed. However, going forward, these clauses could be potential ‘red flags’ in the GST regime. AAAR did not agree with the contention of the appellant trust that there is main activity and incidental activity in the said case. AAAR took the view that the main activity or object of the trust includes trade and commerce and as the definition of ‘business’ under the CGST Act includes the words ‘trade and commerce’, it can be said that the appellant is engaged in supply of goods and services and is therefore liable to get itself registered. Certain services supplied by charitable trust are exempt from GST. There are also other notifications under CGST Act which provide specific exemption to certain services by charitable trusts. Entry No.10 of the Notification No.9/2017, Dated 28.06.2017 under IGST Act, exempts the services received by charitable trust registered u/s.12AA of the IT Act, 1961, from the provider of services located outside India and the trust is not liable to pay GST on import of such services under Reverse Charge Mechanism. However, the exemption is not extended to “Online information & database access or retrieval (OIDAR) services received by charitable trust. There is also a specific exemption on services provided by charitable institution registered u/s.12AA of the IT Act, 1961, by way of advancement of religion, spirituality or yoga. Any fees or consideration charged from the participant for participating in religious program or Yoga meant for advancement of religion, spirituality or yoga is exempted. Further there is entry No.15 of Notification No.12/2017 Dated 28.06.2017, where no GST is applicable on activities of public library including those run by charitable or religious trust. It can be gathered from the above that the intention of the legislature is to tax all the activities of supply goods and services by charitable trust except those specifically exempted. This is with the background that charitable institutions qua their activities of charity do not lend themselves to any specific concession or exemption from the definition of ‘supply’ or ‘business’ or ‘taxable person’. As per AAAR, the very fact that certain services have been carved out and given out a special treatment makes it clear that all trade and commerce transaction of selling books, statutes, CDs and DVDs etc., done commercially for consideration come within the broad ambit of ‘business’ under the CGST Act.